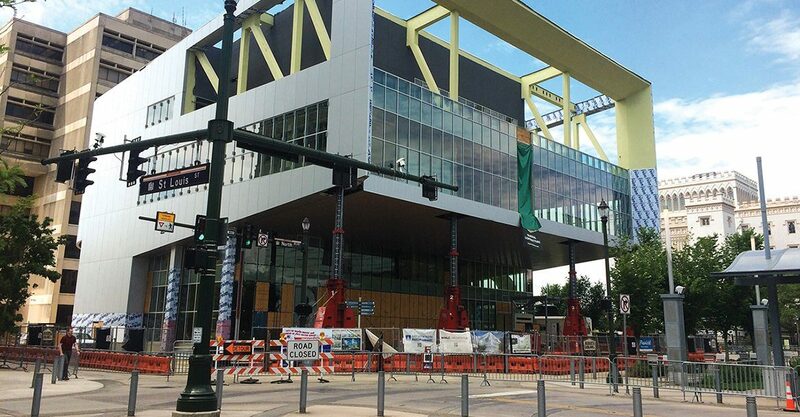 Recently filed court documents in a lawsuit over the under-construction downtown library—which has been on hold since April, when a structural failure was detected in the building’s cantilever—blame an out-of-state structural engineering firm for the problem. SCA was a subcontractor on the project for WHLC Architecture-Schwartz Silver, the city’s architect and program manager. SCA is not based in Louisiana, according to court documents, which do not say where it is located. Though previous reports and court documents related to the project have alluded to structural failures, the WHLC and Arch Insurance documents are the first to identify which specific subcontractor allegedly bears the bulk of responsibility for the problem, which was detected when a welded joint broke apart. In late November, the city-parish sued WHLC-Schwartz Silver, the general contractor for the project, Buquet and Leblanc, and their insurance companies for negligence and breach of contract, among other things, after weeks of mediation talks fell through. The recent documents were filed in answer to that lawsuit. A Houston-area company that goes by the name Structural Consultants Associates is registered to do business in Louisiana, according to the Louisiana Secretary of State’s website. The company has been in business since 1983 and worked on dozens of major projects throughout the U.S., according to its website. A company official did not return a call seeking comment. Just because a subcontractor has been publicly named in the suit does not mean the matter is any closer to resolution. Given the number of parties involved and what’s at stake, the case is expected to drag on for months, if not years. In the meantime, the Library Board of Control and city-parish are considering a measure that would ask the Metro Council to approve fronting some $1.2 million in library board money to begin repairs and resume construction while the case is being litigated.